WurlD. Image courtesy of the artist. WurlD: Nigeria's Most Inspired Star? 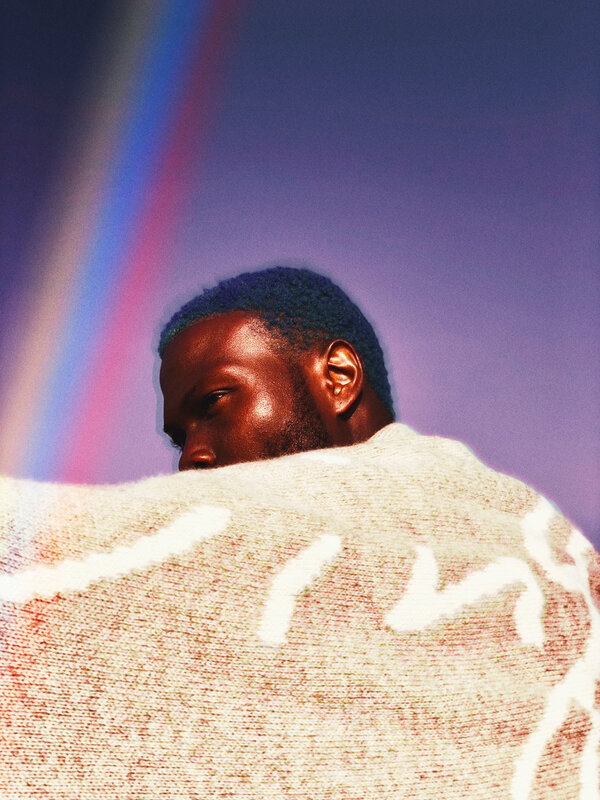 We talk to the Nigerian artist about creating a sound that connects to the quintessential Afropolitan mind. WurlD, the blue-haired singer with a killer voice and deep songwriting, is a wonder. His music sits at the intersection between African vibes and Western delivery. 2018 has been a huge for him, with a deal with Universal Music ensuring that his art has received consistency in release. 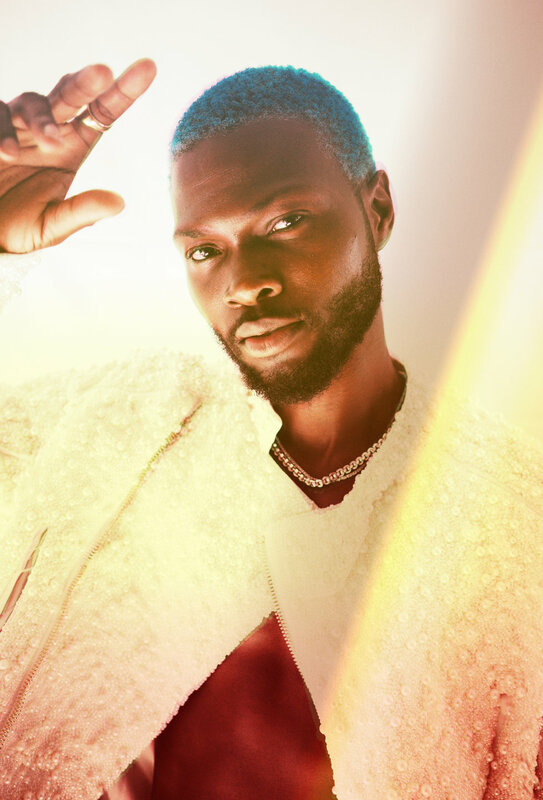 Born Sadiq Onifade, the Afro-Fusion artist has had an inspiring journey, moving from the streets of Mushin in Lagos, to the US, from where much of his music has been conceived. The complete creative embrace of that cross-cultural influence has become his strongest point, with songs such as "Show You Off" and "Contagious" offering a unique angle to his sound. "Moving to America for me gave me the opportunity to learn music and I fell in love with songwriting," WurlD says of his influence. "Atlanta (where I lived) is a creative hub when it comes to songwriting and producing, some of the biggest songs in the world were produced in Atlanta, people round the world go to Atlanta to go meet producers and songwriters in Atlanta. There, I fell in love with music and songwriting." 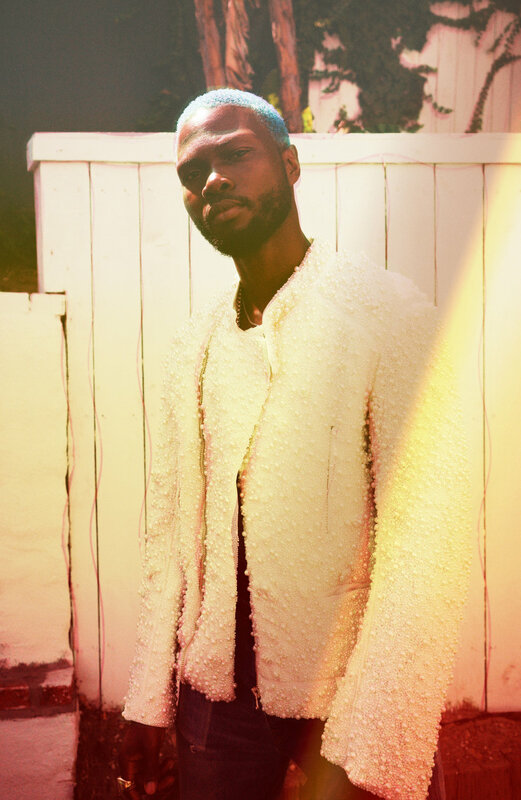 WurlD got his first break in 2015 with the release of "Show You Off," a collaboration with Nigerian producer Shizzi, and Major Lazer's Walshy Fire. Ever since, he's climbed into African hearts, building from the ground up, growing his artistry and creating a brand that connects to the quintessential Afropolitan mind. During his last visit to Lagos, I caught up with him at the Universal Music Nigeria offices, where was on a promo run for "Contagious," a single which according to him, makes him feel "accomplished." We sit for two hours and talk about everything from growing up in Lagos, his inclusive art, the secret meaning of creativity and why 'vibes' are an important part of the art. How was growing up in Lagos? I grew up in a Mushin area, my mum was a trader and used to carry me on her back to the market. She was into different types of trading, from having a food store to a textile business. We are family of ten, my father married two wives, this is one of the first few times I'm saying this because I don't really share it with people. I'm the first child of my mum, the depth of my childhood memories motivated the song "Mothers Prayers," growing up was beautiful and, in the type of home I grew up in, I learned how to interact at an early stage. I don't miss it much now. I learned from it and it made me who I am today, the environment was beautiful and I wouldn't change it for the world. I just learned the depth of people at a very early stage, learned how to navigate family and friends, sometimes friends can be temporary, it depends on their aesthetics and the environment. I learned so much. You and your mum must be really close. We have an amazing relationship and I talk to her pretty much every day. She is like my source of ginger. I have an intense praying mother; she has a very beautiful giving spirit. Why did you leave Nigeria? I left in 2000. My mum wanted me to study abroad but I went to high school here. I went to command, people don't really know that about me. For me, my communications are more in-depth because I went back and forth and I have a good knowledge about the standards and culture of Nigeria, plus the music as well. I've been exposed to Fuji music which is what my family played and I had no other option than to sit and listen to them and be happy, also R&B; and hip-hop. Moving to America gave me the opportunity to learn music and fall in love with songwriting. Atlanta is a creative hub when it comes to songwriting and producing. Some of the biggest songs in the world are made in Atlanta and people around the world travel there to meet producers and songwriters. It was there that I fell in love with music; I learned the business of music in a wider scale by making songs with producers. Being Nigerian-born I felt like I had to push myself harder to be accepted in those rooms. Was it because you came with "inferior" creativity? It's a perception thing, and also just being human as well. Singing is different from songwriting and the standard of music in America is really high. People create songs like fifteen times over and some amazing songs are still not good enough. People write verses a hundred times, and these different verses are sent to different songwriters for comparison. That's the process. I come from. It sometimes was not good enough but I had the passion in me to keep trying. People I looked up too started recognising and needing me in their studio sessions and I was continuously being referred. That's my story basically. When it comes to my musical career, the process made it easier for me to make the right choices creating music for myself and WurlD's identity. Every choice I make is intentional. How did you meet Shizzi to create 'Show You Off'? I met Shizzi in Atlanta through a friend of mine, Kingsley, who is also an artist. Shizzi had recently moved to Atlanta with Davido during the Sony Music transition. We were staying in the same community with numerous musicians. Kingsley met Shizzi at the gym and they discussed vibes. He linked us up . When we met, he played me a draft instrumental for 'Show You Off' and I liked it, a few days later we met and I played him a refined version and he was like 'Wow!' We worked on it together and played it to Walshy Fire of Major Lazer. He loved it and the song was finalized. How tremendous was that record for you? I think it created awareness for me across the African community, America and worldwide. Through Walshy Fire and Major Lazer's involvement we shared the song across all platforms. Because of Major Lazer's island fanbase, it opened up visibility to all the island and Afrocentric lovers. The music created visibility in both worlds at the same time. It was a beautiful experience, and it was like the first step I took to be closer to home. Prior to that, a lot of my songs were very electronic sounding, like the house music played mostly by DJs. I had a successful song in the realm that I did in Eastern Europe called 'Follow You' created with DJ Gromee. I was creating a lot of music with him at the time. I was offered a deal with Sony Music, so I produced a lot of songs with Gromee. When concluding his deal, they wanted to sign me and him because literally all the songs he presented them were songs featuring me. I didn't t see it as a fit for me at the time. Instead, I just made the deal work in a format where I was a featured artist in all the songs he was releasing. You know, it's been a good experience to open up my craft to different demographics. I haven't been to Eastern Europe but I'm looking forward to it one of these days, because the songs are doing amazing out there. And in Africa? What happened? Honestly, it was being close to home and the fans, because the music came here. I found myself doing lots of collaborations with rappers like Timbaland. All these people make a song, and give me the hook. But I wasn't really connecting with the fans as much as I wanted. No matter how amazing the songs were, listeners really concentrated on Timbaland and the main owners of the songs, so I didn't really feel like I was putting myself out there. 'Show You Off' created the foundation for my vision, I [finally] connected with my fans and supporters around the world. I know who they are because I pay attention, so I started thinking about fusion. I've started fusing my native language, Yoruba, into my songs like I did in "Contagious." I also found an epic spiritual part in the song, that's our culture. My mom prays a lot which inspired one of my singles, "Mother Prayers." It was about finding love and connection with the supporters, and increasing the awareness going on with African music. Personally, I felt that I saw what the world was seeing when it came to African music, and it was just a small portion of what African music was made of. I felt like I had a calling to add a different perspective to the small percentage doing something different and pushing African-inspired music. We still have a lot more to offer to the outside world in terms of arts and music. We are the future because there are a lot of talented people here. It's just about inspiring the new generation to use those talents to create the future world of what Africa is, and bringing technology forward. "Contagious" was inspired by the sound of Fuji music. Why go that route? For me the song was paying homage to the culture and the new age sound of African music. I made it very important to tap into certain sounds like Fuji music which is the Juju music, Afrobeats, Apala—and all these sounds are very rich. I learned music outside of Nigeria so I have a different perception than some popular artists in Nigeria. I understand that to push African music forward, you have to fuse it in the most effortless way. We have different native languages that make us communicate in different ways, including English. I intentionally wanted to tap into that sound, opening up people's minds to seeing that there is more from this continent. Interestingly, the world is open to hearing it. I just wanted to inspire a different range. As a child, my parents made me dance to songs of legends like Shina Peters. When his sound came back to me, I told my producer Shizzi 'lets flip this vibe,' switch it to see the reaction because it sounded really amazing, It took us a while to make it because I didn't want to feel like I rushed it, I wanted the lyrics to look like I was talking about the right thing but the rhythm is rhythm, that's how it came about and the other elements were amazing. Is originality in creativity a myth? Yeah absolutely. Those things that have not been seen before are very difficult to find. I feel like, whatever you see now is a new form of something that already existed before. It was started by someone who just picks it up and polishes it, and turns it into something else, just like how I hope to inspire people just like I have been inspired. We should be constantly learning, we have to be open to learn because it helps creativity. What is the place of energy, vibe and spirit in art? Energy is contagious. That's the concept that actually inspired my single. The energy one gets in certain situations, such as. going into a packed room, affects the way one behaves. People go through so many situations everyday and the vibe and energy they get can influence their attitude. My song conveys a happy energy. It's about what people make out of what they do everyday to be happy. I actually got inspired to write the song in Los Angeles seeing the environment and the happy smiles on their faces. The idea just came in, and I was like this 'wow,' happiness is contagious. I decided to communicate that energy to people through my music to lift the spirit of my listeners. I feel like my job is done and I couldn't have made a better choice of the afrobeat sound I used because it makes me feel closer to home. What is at the core of WurlD? Giving. Giving back selflessly is all that matters the most. See this building we are in [Universal Music Nigeria offices]. Someone gave us this concept, that's why we are here today. So I'm constantly learning and finding myself. I'm working on a few things involves helping kids in the next few years. I'm hoping I can do it sooner, rather than later. It's all about finding different ways to use my talents and experience to bring influential people together to see how we can strengthen the knowledge of the new generation of kids. It's called The Lucky Ones Project; it's about helping up more lucky kids. I'm a lucky kid that's why I'm here, I see where I am now, but I'm still motivated to achieve more. All of this happened because I had parents and family to guide me. There are lots of kids that can't pursue those goals because they have no one or the right tools to compete in this fast evolving technology world. The Lucky Kids Project is about creating more platforms for kids. I'm not trying to change the world. That's impossible. But I can contribute to what some of those amazing people are doing and help from a very selfless place.